Lucille Clifton passed in February 2010, and Ai died a month later. These two poets had been mainstays in American poetry for decades at the time of their deaths. And now, just three years later, large collected works by the poets are now in print and thus providing extended lives to their poetry. 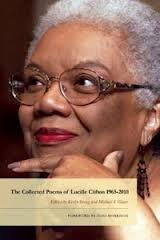 At 720 pages long, The Collected Poems of Lucille Clifton 1965-2010 (2012), edited by Kevin Young and Michael S. Glaser and with a foreword by Toni Morrison, contains an expansive body of poems spanning a lengthy career. The Collected Poems of Ai (2013), at 464 pages, includes an introduction by Yusef Komunyakaa and presents Ai's 8 volumes of poetry in a single work. Each of the books is priced at $35.00, an indication that the works are primarily designed as collector's items for the writers' many admirers. Whereas some teachers will certainly use the books in classes (I assigned Clifton's book this past spring by the way), professors tend to assign shorter volumes when and if they select poetry books for literature courses. Those thin volumes are viewed as more manageable and cost friendly for students, and generally speaking, most volumes of poetry are somewhere between 80 and 120 pages, give or take. The very sizes of Ai's and Clifton's collected works testify, in physical form, about the space that the poets could or should take up on the landscapes of poetry. The paratexts or packaging of Clifton's book is especially weighty. The foreword by Morrison and extended afterword by Young signal and clarify the poet's importance. In her foreword, Morrison chides even Clifton enthusiasts for under-appreciating the poet's "profound intellect" thus prompting them to find renewed interest in her work. Renewing and extending interests constitute reasons why these collections are available right now. These big books are here to help ensure that the poetry of Ai and Clifton have healthy afterlives.